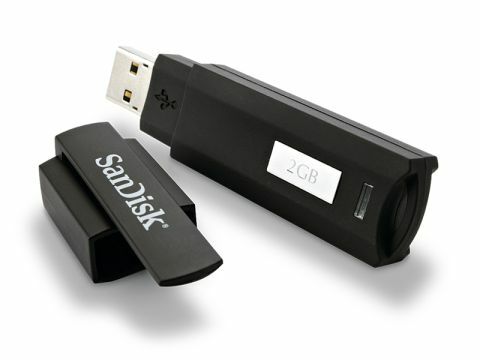 The SanDisk Cruzer Enterprise is available in 1, 2, 4 and 8GB capacities, and is very special indeed. Its stylish design, cap and neat LED showing when it's being accessed are a bonus, but what's really special are its security features. When you first insert it into the USB port, you can install a 7.6MB app. After that, connecting the device brings up a password request, which you must satisfy before it mounts. Encryption is via 256-bit AES, and if you can't remember your password you can reset it, but this will erase all your data. When connected, you can follow the icon in your menu bar, and carry out any tasks such as setting new passwords or ejecting the device. Given the hassle losing a flash drive can cause, many will welcome the password protection. Only the high price tag stops this scoring any higher.